Category Archives: What is Buckwheat? New evidence shows that buckwheat may be helpful in the management of diabetes. Single doses of buckwheat seed extract lowered blood glucose levels by 12-19 percent. The component responsible for these effects is chiro-inositol. One study found that women who consumed an average of three servings of whole grains daily, such as buckwheat, had a 21 percent lower risk of diabetes compared to those who ate one serving per week. Diets that contain buckwheat have been linked to a lowered risk of developing high cholesterol and high blood pressure. Buckwheat contains a good concentration of dietary fiber and magnesium. Fiber has been shown to reduce cholesterol levels while magnesium helps to promote blood vessel relaxation and blood circulation. People with celiac disease can eat buckwheat. This is an intestinal disease associated with sensitivity to grains or other foods that contain the protein gluten. A concentrated source of phytonutrients called flavonoids that include rutin, quercetin, and kaempferol are found in buckwheat. They are strong antioxidants that protect the cells from harmful free radicals in the body. Some helpful info to help you differentiate buckwheat in its different forms if you are planning on using buckwheat in your cooking. What buckwheat looks like after its harvested. It has a triangular-shaped shell. At this stage, the groats are still in their hulls, which have turned a dark brown or almost black color. Unhulled buckwheat can be grounded into flour and will produce a dark grayish colored flour with bits of black which is the hull. After the hull is removed. Hulled buckwheat is called buckwheat groats and can come in light brown or pale green color. The buckwheat groats can be grounded up to become buckwheat grits which is used to make breakfast cereal. The hulls itself can be used as stuffing in making buckwheat pillows. After the hulled raw groats has been roasted. Is it also known as Kasha. It is frequently used in cooking and can be grounded into buckwheat flour. Unlike the grounded flour from unhulled buckwheat, the color of the flour will be lighter. Click for more info about buckwheat and recipes. This useful image pretty much gives a summary of what Buckwheat is about. Tartary buckwheat (also known as bitter buckwheat) is another species of buckwheat in the buckwheat family that is mainly grown in Asia. Comparing the taste, tartary buckwheat tastes more bitter. Tartary vs. common buckwheat. Is there a difference in terms of nutritional value? Buckwheat is known to be one of the riches sources of rutin. This is definitely a plus factor for your health! Other foods containing rutin includes citrus fruits, asparagus and berries. Tartary buckwheat seeds contained more rutin (about 0.8-1.7% DW) than common buckwheat seeds (0.01% DW). Tartary buckwheat seeds contained traces of quercitrin and quercetin, which were not found in common buckwheat seeds. Which bring us to the next topic on the list; What is rutin, quercitrin and quercetin ?? and how does this benefit our health. Buckwheat is gluten-free. 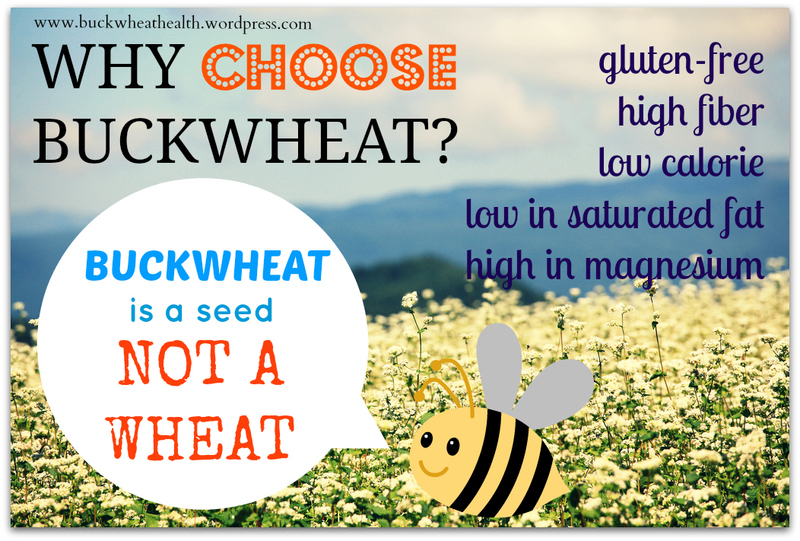 That means that it’s safe for those with celiac disease as buckwheat is not related to wheat. What is gluten you ask? Gluten according to the medical dictionary is defined as – ‘a gluey protein substance especially of wheat flour that causes dough to be sticky’.